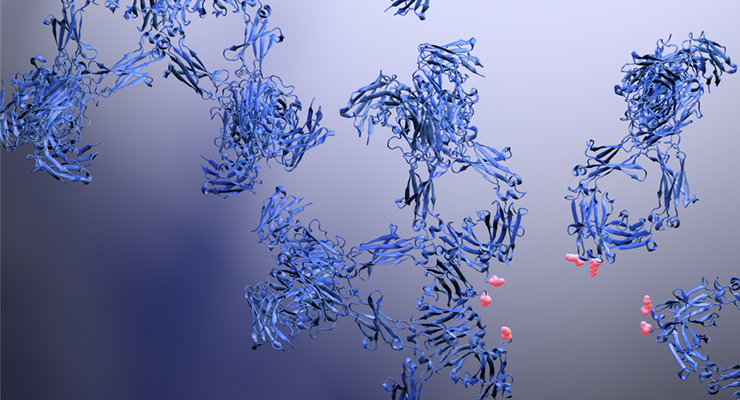 The latest “Antibodies to watch” article is now freely accessible at mAbs! 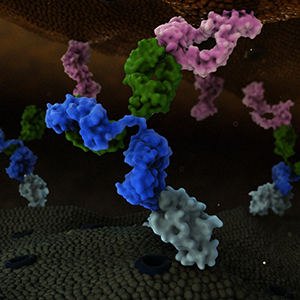 For the past 10 years, the annual ‘Antibodies to watch’ articles have provided updates on key events in the late-stage development of antibody therapeutics, such as first regulatory review or approval, that occurred in the year before publication or were anticipated to occur during the year of publication. To commemorate the 10th anniversary of the article series and to celebrate the 2018 Nobel Prizes in Chemistry and in Physiology or Medicine, which were given for work that is highly relevant to antibody therapeutics research and development, the scope of the data presented was expanded to include an overview of all commercial clinical development of antibody therapeutics and approval success rates for this class of molecules. 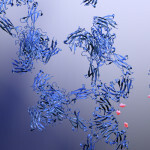 The data indicate that: 1) antibody therapeutics are entering clinical study, and being approved, in record numbers; 2) the commercial pipeline is robust, with over 570 antibody therapeutics at various clinical phases, including 62 in late-stage clinical studies; and 3) Phase 1 to approval success rates are favorable, ranging from 17–25%, depending on the therapeutic area (cancer vs. non-cancer). As of November 2018, a record number of antibodies (erenumab (Aimovig), fremanezumab (Ajovy), galcanezumab (Emgality), burosumab (Crysvita), lanadelumab (Takhzyro), caplacizumab (Cablivi), mogamulizumab (Poteligeo), moxetumomab pasudodox (Lumoxiti), cemiplimab (Libtayo), ibalizumab (Trogarzo), tildrakizumab (Ilumetri, Ilumya), emapalumab (Gamifant)) that treat a wide variety of diseases were granted a first approval in either the European Union (EU) or United States (US). Also as of November 2018, 4 antibody therapeutics (sacituzumab govitecan, ravulizumab, risankizumab, romosozumab) were being considered for their first marketing approval in the EU or US, and an additional 3 antibody therapeutics developed by Chinese companies (tislelizumab, sintilimab, camrelizumab) were in regulatory review in China. In addition, the data show that 3 product candidates (leronlimab, brolucizumab, polatuzumab vedotin) may enter regulatory review by the end of 2018, and at least 12 (eptinezumab, teprotumumab, crizanlizumab, satralizumab, tanezumab, isatuximab, spartalizumab, MOR208, oportuzumab monatox, TSR-042, enfortumab vedotin, ublituximab) may enter regulatory review in 2019. Notably, approximately half (18 of 33) of the late-stage pipeline of antibody therapeutics for cancer are immune checkpoint modulators or antibody-drug conjugates. Of these, 7 (tremelimumab, spartalizumab, BCD-100, omburtamab, mirvetuximab soravtansine, trastuzumab duocarmazine, and depatuxizumab mafodotin) are being evaluated in clinical studies with primary completion dates in late 2018 and in 2019, and are thus ‘antibodies to watch’. 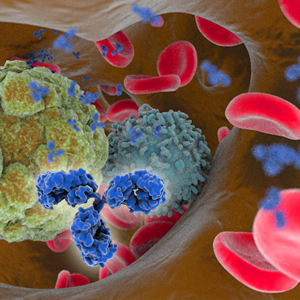 The Antibody Society looks forward to documenting progress made with these and other ‘antibodies to watch’ in the next installment of this article series. Update: Data in “Antibodies to watch in 2019” is as of November 2018. As noted in the post below, risankizumab was approved by FDA on December 21, 2018, bringing the total number of antibody therapeutics approved in the EU or US during 2018 to 13. On September 3, 2018 Sanofi announced that the European Commission granted a marketing approval for caplacizumab (Cablivi), a bivalent single-domain Nanobody targeting von Willebrand factor, as a treatment of adults experiencing an episode of acquired thrombotic thrombocytopenic purpura (aTTP). During episodes of this rare, life-threatening blood clotting disorder, microclots can form, leading to low platelet counts, ischemia and organ dysfunction in aTTP patients. Caplacizumab was granted Fast Track designation in the US and orphan drug designations in the US and EU for the treatment of aTTP. The biologics license application (BLA) for caplacizumab is undergoing a priority review at the US Food and Drug Administration (FDA). A first action by FDA is expected by February 6, 2019. Caplacizumab was developed by Ablynx, a Sanofi company. The approval of caplacizumab in the European Union was based in part on the Phase 3 HERCULES study (NCT02553317), a placebo-controlled, randomized study to evaluate the efficacy and safety of caplacizumab in more rapidly restoring normal platelet counts as a measure of the prevention of further microvascular thrombosis. Positive results from this study were announced in October 2017. The HERCULES study recruited 145 patients with an acute episode of aTTP who were randomized 1:1 to receive either caplacizumab or placebo in addition to standard-of-care treatment, which was daily plasma exchange (PEX) and immunosuppression. Patients were administered a single IV bolus of 10 mg caplacizumab or placebo followed by daily SC dose of 10 mg caplacizumab or placebo until 30 days after the last daily PEX. Depending on the response, the treatment could be extended for additional 7-day periods up to a maximum of 28 days. The primary endpoint (time to platelet count response) and several secondary endpoints of HERCULES study were met. In particular, there was a statistically significant reduction in time to platelet count response, with, at any given time, patients treated with caplacizumab 50% more likely to achieve platelet count response; a 74% relative reduction in the percentage of patients with aTTP-related death, a recurrence of aTTP, or at least one major thromboembolic event during the study drug treatment period; and a 67% relative reduction in the percentage of patients with aTTP recurrence during the overall study period. A 3-year Phase 3 follow-up study (NCT02878603) of patients who completed the HERCULES study is in progress. 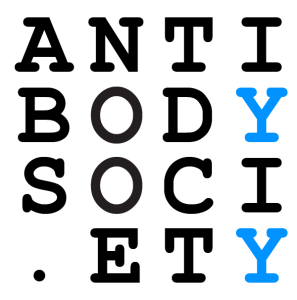 The Antibody Society maintains a comprehensive table of approved mAb therapeutics and those in regulatory review in the EU or US. As of Sep 3, a total of 7 antibody therapeutics had been granted first approvals in either the US or EU in 2018, and marketing applications for another 9 that have not yet been approved in either the EU or US are undergoing review in these regions. Please log in to access the table in either PDF or Excel formats, located in the Members Only section.